Montreal: Canada’s Quebec province on Thursday unveiled controversial draft legislation that would ban a significant section of public servants from wearing religious symbols such as a crucifix, yarmulke or hijab. The measure — which applies to police, teachers and others in positions of authority — is expected to become law by June with Premier Francois Legault’s government holding a majority of seats in the Quebec legislature. Teachers unions said they would not enforce the law, while pundits anticipated a court challenge for contravening Canadians’ Charter right to religious freedom. The Quebec government has already made it clear that it would invoke a rarely-used constitutional clause to quash any rights challenges. “Some people will find that we are going too far, others not enough, and we are convinced that we have struck the right balance,” Quebec Immigration Minister Simon Jolin-Barrette told a press conference. The measure — combined with the removal of a cross from the national assembly — underscores the province’s break with religion a half century ago when it rejected the Catholic Church’s powerful influence in local politics. The bill would also enshrine into law a rule previously adopted by Quebec that denies government services to people who hide behind a veil, reflecting a backlash against Muslim immigration. Jolin-Barrette argued that the latter is intended to simply bolster safety and security by being able to verify the identity of people accessing government services. 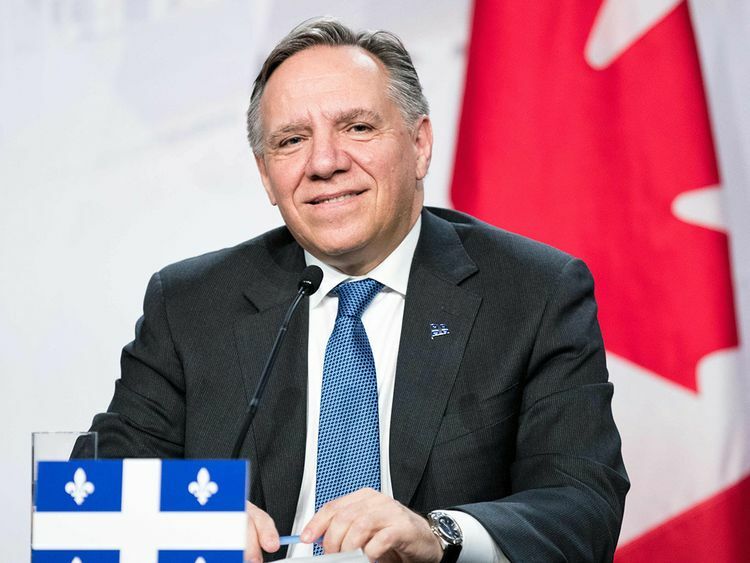 Both measures were promised by Legault during last year’s election campaign after a decade of divisive debate on secularism and religious freedom that was influenced by a similar discourse in France.